Editor’s Note: Welcome our guest blogger Eric M. Carter! 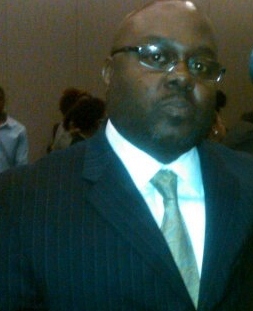 He is a Sales Consultant here at the Waldorf Ford & Dodge Pre-Owned Center, located in Waldorf, Maryland. He has been with us for since 2002. He is originally from Washington, DC and graduated from Largo High School in Largo, Maryland. Mr. Carter stays very busy with this family. His youngest daughter is a national celebrity! If you are familiar with the 2013 Super Bowl Champions – The Baltimore Ravens and our much-loved retired linebacker Ray Lewis, you may remember this VISA credit card commercial titled “Visa NFL: Ray Lewis’s Toughest Interview Yet.” The little girl interviewing “Ray Ray” is Mr. Carter’s daughter. He shows true dedication and heart in everything he does. From being a beloved father of five children (4 girls and 1 boy) and devoted husband, to informing and supporting all of his customers throughout their buying process; Eric prides himself on providing his customers with the Best Sales Experience. Eric has been in the automotive industry for 11 years and his knowledge is expansive. Please make sure to stop by to see him for help. He enjoys exceeding all of his customer’s expectations! 1st reason: Used cars cost less. They’ve got a few miles on them and they’ve been around the block a few times but for the money you’ll save, that’s no big deal! When buying used, prices are often softer than new and that means you you’ll be able to stretch your dollar further. If you need a big car for your family, or want a lot of options like a top of the line stereo but can’t afford that option in a new car, you’ll likely be able to afford it in the used car market even among newer used cars that are less than three years old. 2nd reason: Save on insurance. 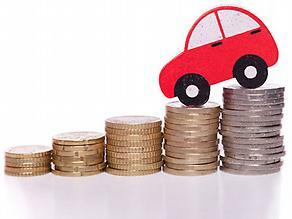 Usually, insurance costs are higher for a new car of the same model sold used. Buy used and get a lower quote – it is as simple as that! The moment you drive a new car off the lot it loses value. A car doesn’t offer the same kind of investment a home does, it will continue to lose value over time. But if you’ve purchased a used car, then you’re already paying less and your loss over time will be less. The reason for this is that the original owner has already absorbed the largest depreciation hit, so you don’t have to. Finally, another reason there is less depreciation is that you didn’t start at the higher brand new price like in a new vehicle. Consider the value of a used car between one and three years old. It still may run like a new car or even better since all the bugs from the manufacturer most likely have been worked out. For example, a slightly used car has had all those little things fixed from recalls, or for air conditioner components, to a lemon of a stereo of which otherwise is a great car. Also, a slightly used car will have plenty of life and will run well for many years to come just so that it is properly maintained just like a new car. Finally: Making the choice to buy. So, if your still debating on whether to buy a used vehicle start with asking questions. Begin comparing prices and inquiring about the financing opportunities. But whatever you do, it is always best to buy used from a dealer verse an individual seller. Buying from a dealer is better because if you ever have any further questions you have a place to go back to! Visit Waldorf Ford & Dodge Pre-Owned for more information on this story. Waldorf Ford & Dodge Pre-Owned is located at 2430 Crain Highway, Waldorf, MD 20601 or call toll-free at (800) 883-2818. Every FCPO vehicle goes through a rigorous and thorough 172 point inspection. We check the VIN, make sure all service recalls are performed, run a vehicle history report and perform any necessary scheduled maintenance. While its in the shop, the engine is tested and 35 items under the hood are checked and if necessary brought into spec. Then we take it for a Road test to make sure it runs and drives properly. The exterior and interior are both gone over with a fine toothed comb and any necessary repairs are performed. We check the frame, exhaust, tires, brakes and lots more! When we are done the vehicle is practically new! The benefits of FCPO don’t end with the 172 point inspection. Every FCPO vehicle comes with peace-of-mind warranty coverage. The comprehensive limited warranty covers more than 500 components for 12 months/12,000 miles (whichever comes first) and the fully transferable powertrain limited warranty covers you for 7 years /100,000 miles. You can also choose to extend the warranty when you purchase your vehicle for extra assurance. Not every vehicle has what it takes to become Ford Certified. Each Ford must be less than 6 years old and have less than 80,000 miles on the odometer. Additionally, the vehicle must pass the check of the vehicle history report. Finally, when you purchase a FCPO you may be eligible for a special interest rate, which can be as low as 1.9% APR. If you have any questions about the Ford Certified Preowned Program, check us out online at waldorfford.com or stop by and see us. Waldorf Ford is located on Route 301 North in Waldorf, just 15 minutes south of Washington DC.